For years, fans of Marcin Wasilewski Trio have been asking for a live album. Here it is. 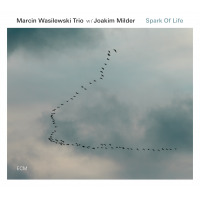 Recorded at the Jazz Middelheim Festival in Antwerp, Belgium, in August 2016, it captures the trio in energetic, extroverted mode, fanning the flames of their Spark of Life repertoire and drawing on the deep understanding Marcin Wasilewski, Slawomir Kurkiewicz and Michal Miskiewicz have established in the course of a quarter century of shared musical endeavour. 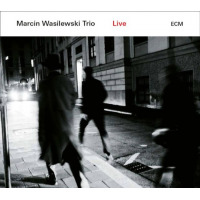 As UK magazine Jazz Journal has noted, “Wasilewski’s music celebrates a vast dynamic range, from the most deftly struck pianistic delicacies to gloriously intense emotional exuberance, the chords pounded with unrestrained joy, yet always within a marvellously melodic concept. 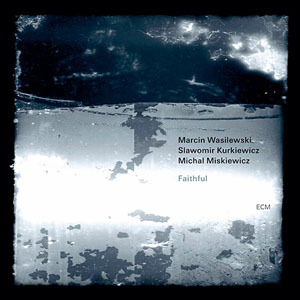 Marcin Wasilewski Trio is one of the brightest stars of the Polish jazz scene, recognised for their unique talent in blending tradition with contemporary sound. 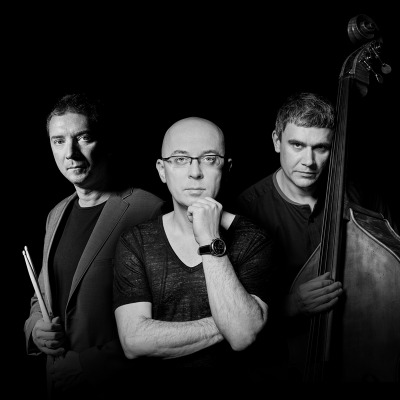 Trio is critically acclaimed as one of Europe’s most outstanding and unique jazz formations of their generation, enjoying warm recognition of jazz fans in Poland and abroad. In 2019 Wasilewski, Kurkiewicz and Miskiewicz will be celebrating 25 years together on stage. 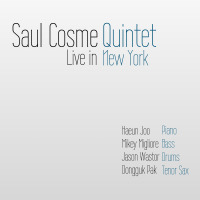 For 15 years they were the applauded companion of Tomasz Stanko in his Quartet, recording a number of albums for the ECM Records and performing concerts around the globe. 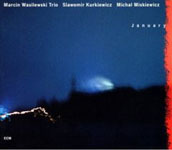 As Tomasz Stanko says himself „…in the entire history of Polish jazz, we’ve never had a band like this one. I’m surprised by these musicians every day. They just keep getting better and better”. 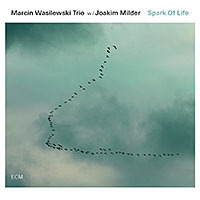 The Trio members have collaborated (as a Trio or separately) with the biggest names in jazz, artists such as: Charles Lloyd, Al Foster, Branford Marsalis, Jan Garbarek, Joe Lovano, Gianluigi Trovesi, Nils Petter Molvær, John Surman, Louis Sclavis, Arthur Blythe, Bernt Rosengren, Dino Saluzzi, Bobo Stenson, Anders Jormin, Manu Katché, Jon Christensen and more. The „Live” release tour is supported by the Union of Performing Artists STOART.